Time: Thursday, 6 a.m. to 10 p.m.
*Member discount does not apply. 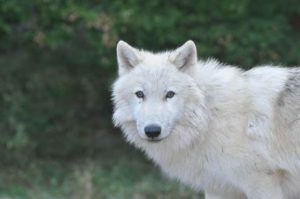 If you’ve always wanted to visit the International Wolf Center in Ely, Minnesota, this is the trip for you! 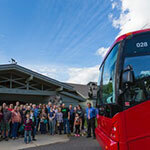 Board a comfortable tour bus from the front step of the Minneapolis Marriott Northwest and enjoy a beautiful drive into Minnesota’s Northwoods. We will depart at 6 a.m. from the Marriott, arriving in Ely at about 11 a.m. when we’ll stop for at the North American Bear Center and have lunch, which is included in the registration fee. You’ll be taken to the International Wolf Center to observe our live pack of ambassador wolves. Make sure to bring your cameras to document this fantastic opportunity! By 4:15 p.m., we’ll be back on the road to the Twin Cities. The bus will stop for dinner along the way. Dinner is not included in the registration fee. The bus will drop you off back at the hotel Thursday night. If you have registered to attend the International Wolf Symposium, you’ll be back in time for the first full day! Activity Level: Light walking, standing, sitting.